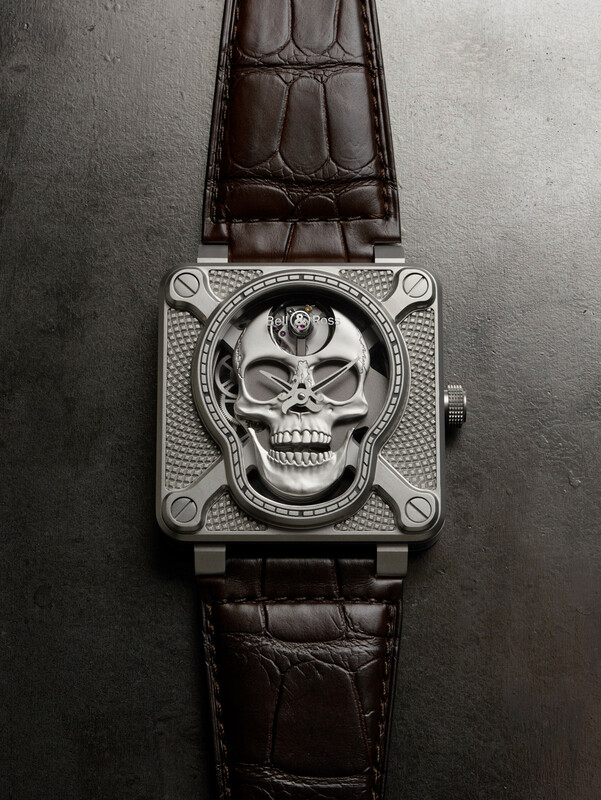 The symbolism of skulls in watchmaking might not be new, but the trend has certainly picked up in recent years. 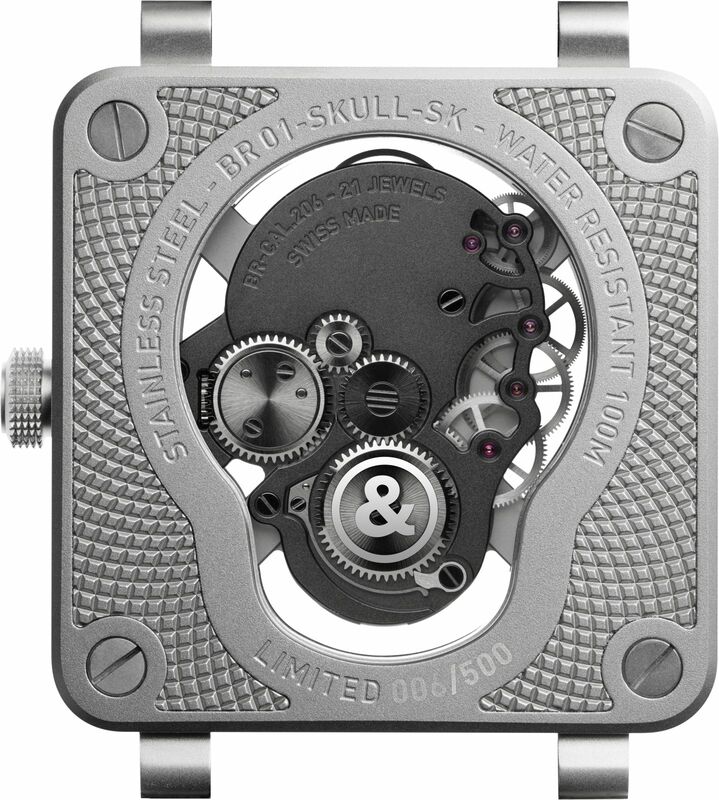 For Bell & Ross, it was in 2009 when they decided to reveal to the world of haute horlogerie the very first BR 01 Skull which featured a simple skull framed perfectly within the brand’s signature square case. This simple yet striking design was deemed an instant hit resulting in several other bronze and micro-blasted steel iterations. In conjunction with the upcoming 10th anniversary of this popular model, the Swiss luxury watchmaker has decided to take things to the next level by introducing a watch that laughs when wound up. 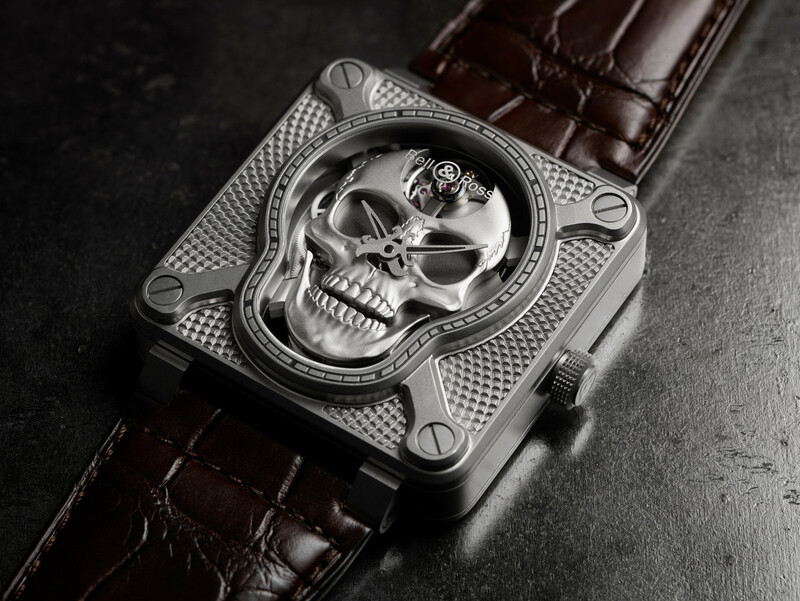 Deemed as the BR 01 Laughing Skull, what makes this particular timepiece a must-have in every serious collector’s repertoire is that it also happens to be the very first automaton model from Bell & Ross. The secret to its animated smile has to do with the watch’s skull-shaped mechanism which was built entirely by Bell & Ross. Known as the BR-CAL.206 caliber, this hand-wound mechanism enables the bottom mandible to move vertically with a turn of the crown at 3 o’clock. At first glance, the main plate appears to float in the centre of the watch but is in fact secured in place via four discreet bridges that resemble crossbones. Available with or without diamonds, the BR 01 Laughing Skull has been fitted with a 46mm case in micro-blasted steel enhanced with an appealing guilloche design and paired with a broad, rubber-backed strap in classic brown alligator. Options for the diamond variants include a bezel set with 104 diamonds worth 1.032 carats (99 pieces) as well as full diamonds for both the case and bezel (99 pieces).